Why you want to share 4g dongle broadband connection with android device. Android device can be set to be a wifi hotspot but if we setup adhoc network connection using windows device (laptop, desktop) android device could not find the network because of the limitation in the android OS itself. After googling and yahooing, i found a way to enable adhoc network sharing with android device and also with other device meaning that we can share any 4G dongle that is not designed to become a wifi hotspot such as .. you name it yourself. hehe.. This method is tested in WIN 7. other windows user, use on your own risk. 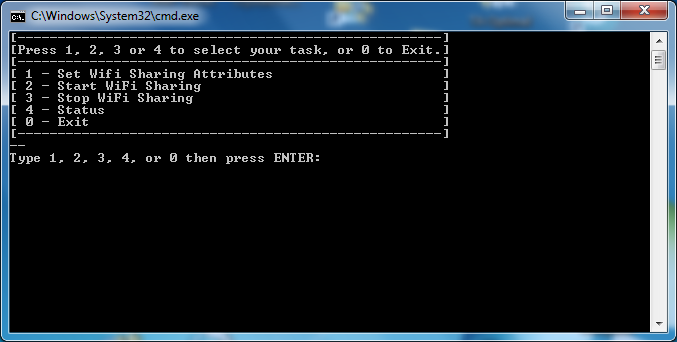 This method is using wpa hosted network using Command prompt but i had simplified the process using batch file. 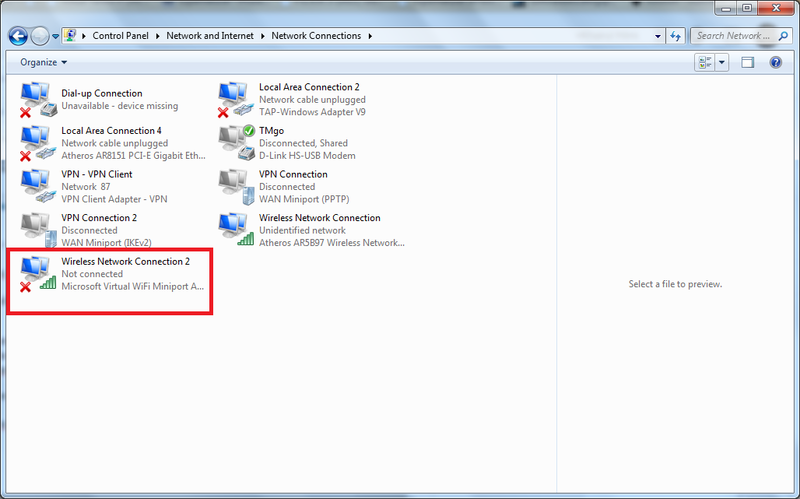 "netsh wlan set hostednetwork mode=allow ssid=akupunya key=passkey123 keyusage=persistent"
6. Set the wifi network, press 1 then enter. "The hosted network mode has been set to allow. 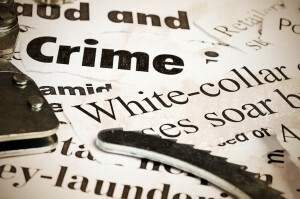 The user key passphrase of the hosted network has been successfully changed"
7. Press enter then press 2 to start wifi sharing. 8. Press 4 to see the wifi sharing status. 11. Right click on your dongle network adapter. 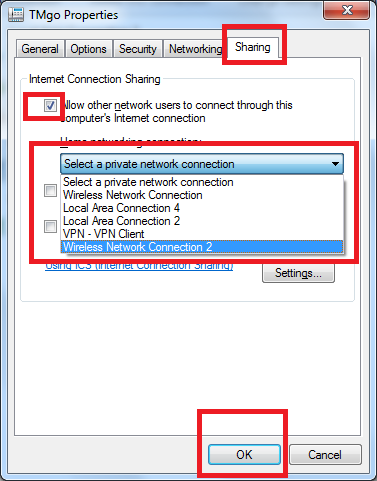 You must connect to your broadband network first if you use third party connection manager i.e YES dongle, the network connection will be created every time you connect to the network. If you use TMGO , the network adapter will be created on first connection. Right click on it then choose properties. 12. Go to sharing tab , tick on "allow other network users to connect through this computer's internet connection". 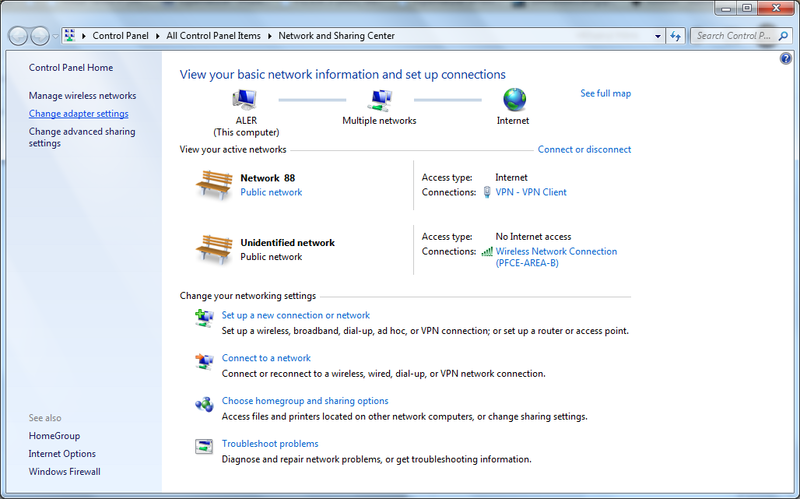 Select wireless network connection that appeared on step 10. then click OK.
13. Whatever come after that just click OK.
14. On your android device, open WIFI, scan and you will see your created network SSID name in step 3 appear in the WIFI list, connect to the SSID, insert your WPA key. You will be connected to the network. 15. 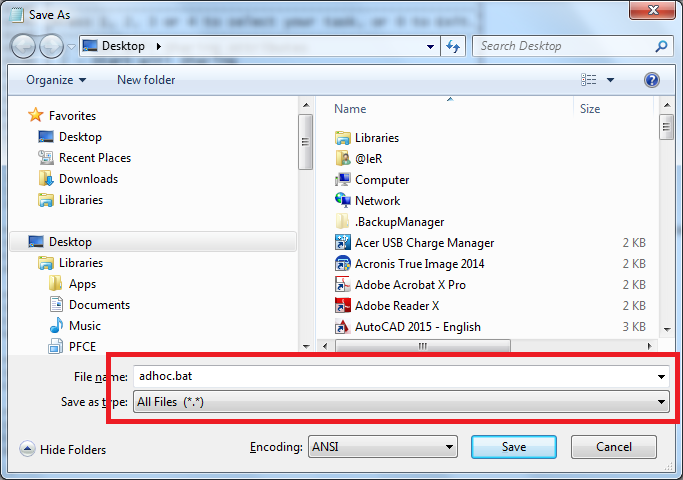 To check your connection, switch to adhoc.bat or open the file as admin if you have close it and press 4 in the menu page. 16. A prompt showing your hosted network status and connected client will be showed. Press enter and press 0 to exit. 17. If you want to stop the connection, open adhoc.bat as admin and choose 3 on the menu page. 18. REMINDER. If you are using broadband that create new network connection every time you connect , you must repeat all the step. If your broadband create permanent network connection like the one in the example, you will need to repeat step 6 and 7 only every time you want to share your broadband. PS : if you use broadband connection in a LAN or WLAN network connected to router or hub or hotspot, just use step 12 to share the connection with your network. 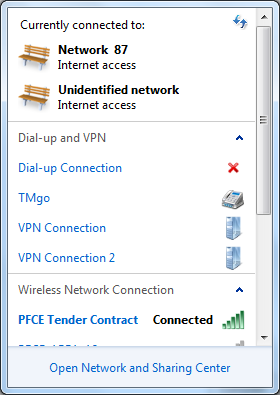 choose your network name in select a private network connection name dropdown.